In the wake of Environment California’s successful campaign to commit the Golden State to 100 percent clean electricity generation by 2045, Environment America is launching a multi-year campaign to convince governors and legislators in other states to set similar goals to transition to clean energy. Environment America, a national network of state environmental groups, announced it will push bills promoting 100 percent clean energy in at least nine states: Massachusetts, New Jersey, Pennsylvania, North Carolina, Michigan, Illinois, Minnesota, New Mexico and Washington. Read more here. 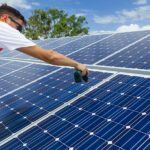 energy companies’ websites for renewable energy jobs postings, or major nonprofit organizations like Environment America if you are interested in renewable energy advocacy jobs. 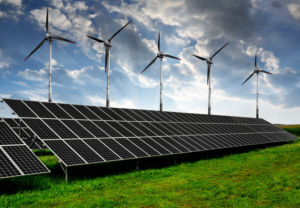 The US Underwent a Quiet Clean Energy Revolution Last Year, World Resources Institute. The public perception of U.S. clean energy has undergone a major shift. 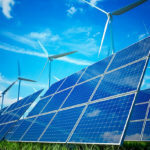 In a recent survey, 70 percent of respondents said America should produce 100 percent of its electricity from renewable energy sources; more than half thought renewables were a good idea even if they raise energy bills. uncertainty around fuel prices that is inherent to gas. This entry was posted in Nebraska / Midwest News, NewsBlog and tagged 100% renewable energy, Brown University, costs of solar and wind plus batteries, Environment America, Environment America's 100% Renewable Energy Campaign, Nebraskans for Solar NewsBlog, NextEra, renewable energy jobs on January 25, 2019 by Helen Deffenbacher.